By engaging young people in conservation service at the Angeles National Forest, we are strengthening both our environment and our communities. The Student Conservation Association (SCA), a national leader in youth service and stewardship, today introduced The Home Depot® Foundation as its primary partner in a wildfire recovery project at the Angeles National Forest. Thirty SCA interns will repair hiking trails and campgrounds, restore fish and wildlife habitat, and remove invasive plants in areas affected by the 2009 Station Fire. The SCA interns will also coordinate the efforts of local volunteers. 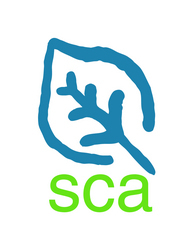 The summer-long, $200,000 SCA project is supported entirely by private funding. The Home Depot Foundation will underwrite half the costs and provide necessary tools and equipment. The National Forest Foundation has issued a grant for $45,000, a sum matched by another, anonymous foundation. Patagonia stores in Pasadena and Santa Monica contributed another $7,000. This year marks 50 years of collaboration between SCA and the USDA Forest Service. In California alone, more than 200 SCA high school and college age members will serve in national forests including Angeles, Klamath, Plumas and Tahoe. Created in 2002, The Home Depot Foundation supports nonprofit organizations dedicated to creating and preserving healthy, affordable homes as the cornerstone of sustainable communities. The Foundation's goal is for all families to have the opportunity to live in healthy, efficient homes they can afford over the long-term; to have access to safe, vibrant parks and greenspaces; and to receive the economic, social and environmental benefits of living in a sustainable community. Since its formation, The Home Depot Foundation has granted $190 million to nonprofit organizations and supported the development of more than 95,000 homes, planted more than 1.2 million trees, and built or refurbished more than 1,875 playgrounds, parks and greenspaces. For more information, visit http://www.homedepotfoundation.org/ and follow us on Twitter @homedepotfdn.